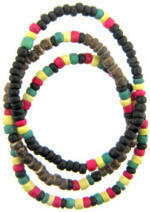 This is for 12 assorted stretchy coco bead bracelets/anklets with Rasta colors. 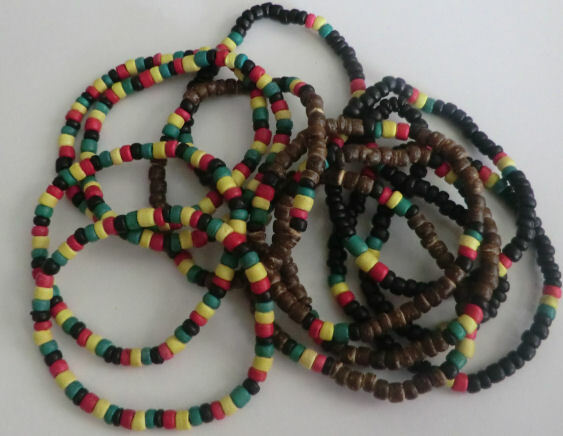 Comes in 3 different designs (4 of each - see pics). Each one measures about 7" around. This product was added to our catalog on Friday 27 July, 2012.